Two of the series' most beloved characters signed off for the last time on Grey's Anatomy Season 14 Episode 24. The season capped off with multiple weddings and happy endings. It didn't seem real! Join TV Fanatics Paul Dailly, Stacy Glanzman, and Jasmine Blu as they discuss the finale and the season. What are your thoughts on the way April was written out? Are you a fan of her suddenly marrying Matthew? Paul: It was okay, I guess. She didn't die, so that's a positive, but I wish we knew what she was going to be doing away from Seattle. With Matthew, I didn't really mind him being back in her life. My issue is that his wife was dead for a few months before he got married to April. Stacy: It just all felt so sudden. I wish we could have seen more of April and Matthew's relationship over the last few months, but at least they didn't kill her like Paul said. She gets a happy ending. I think she said she would be helping the homeless in Seattle. She mentioned bringing Harriett to dinner with Catherine one night, so I assumed she'd be staying local. Maybe we'll get a guest appearance some day. Jasmine: It speaks volumes that her new venture was so vague and matter-of-fact that it could have gone over people's heads. It felt like an afterthought, and I expected ... more. Like Stacy said, I wish we saw more of April and Matthew's relationship. It was sudden, and now they're married. I didn't have an issue with them being together, but the two of them getting married abruptly caught me off-guard and not in the best way. Arizona is not only moving to New York, but she's reuniting with Callie. React! Paul: Clearly, absence makes the heart grow fonder. It's difficult for me to care about this plot because it felt thrown in there just to give her a plausible exit story. Are we supposed to forget all of the bad that happened between Callie and Arizona? Stacy: It would have worked better if Sara Ramirez had made a cameo, rather than just watching them reunite via text message. At least they played "The Story" from the musical episode. It helped make it feel a little bit like she was there. Jasmine: Same, Paul. Calzona fans are thrilled, but I'm underwhelmed. Will Alex and Jo move to Boston, or will something come up to prevent them from leaving? Paul: The Fellowship will probably be over when the season kicks off. Either that or Jo will go alone, and the long-distance romance will start to make things difficult for her and Alex. Stacy: We just lost two major characters. I highly doubt we're losing two more, especially considering one of them is Alex. I'm guessing something will come up to prevent her from leaving. Maybe she'll go temporarily and end up hating it and decide to come back. Jasmine: In the words of Greg Brady, "Something suddenly came up." I don't see Jolex leaving at all. How do you feel about Teddy returning as interim Chief and being pregnant? Will there be a love triangle between Owen, Amelia, and Teddy? Paul: I liked it. I was shocked when she put her hand on her stomach, but it was a good twist. I hope there is no love triangle. I'm all for drama, but this is just like beating a dead horse. Stacy: Well, I thought Amelia was pregnant. I got the wrong girl, but still wasn't super shocked about it. The last thing I want to see is a love triangle between them, but I like the idea of Owen finally having a chance to be a father, which is what he's always wanted. I think Betty will end up getting her kid back, Amelia will move out, and Owen and Teddy will try and work things out. We've already done Owen and Amelia, but we haven't seen Owen and Teddy give it a real shot. 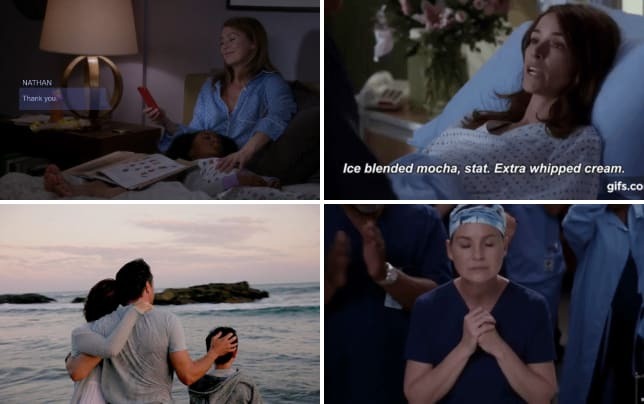 Related: Grey's Anatomy: Farewell Tribute to April and Arizona! Jasmine: I love Teddy returning. I'm all for that and her temporary position. The baby news didn't surprise me too much. If they go the love-triangle out, I'm going to need someone to put me out of my misery. That horse is dead, buried, and ten feet below the ground. Let it go! I do agree that Owen and Teddy never gave it a real go, so I can see them going that route. What was your favorite scene and/or quote from the episode? Paul: Jo laughing at the dire situation she and Alex were in when they were locked in that room with a corpse. It was hilarious, and she tried to make the best of a bad situation. Stacy: I really liked that they played "The Story." It was a nice touch. 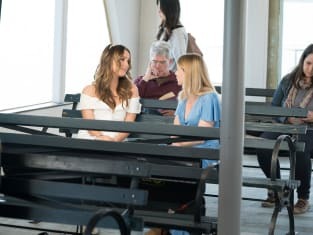 Jasmine: Drunk DeLuca was funny, especially when he made that comment about not knowing what side to sit on. Where do you sit if you used to be in love with the bride and the groom beat you up and put you in the hospital? I also liked when everyone realized they were at the wrong wedding and tried to leave without making a scene. Been there, done that, have the stories to tell. What would you rate the season? 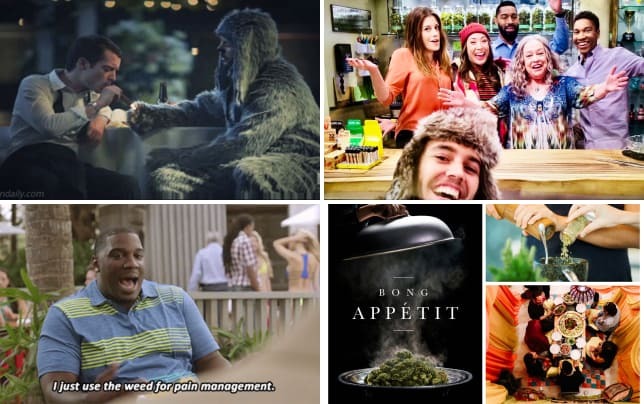 What do you hope to see next season? Paul: B. It stalled in some places but was pretty decent overall. I hope the show continues with the lighter tone from Grey's Anatomy Season 14. I hope the convoluted relationship drama stops, and we get exciting medical cases. Stacy: I think I give it a B+. It was so much better than last season, but there were still some odd and unnecessary storylines. I hope Scott Speedman returns next season. All of Meredith's talk about not wanting to be alone made me think it would be the perfect opportunity for him to pop up again. Jasmine: I'll give it a B+. I had a few gripes here and there, but it was so much better than last season. It was a vast improvement, and I did like the lighter tone. I agree about Scott Speedman. I would love for him to return. I want less relationship drama and better storylines for certain characters who have been lacking. Alright, TV Fanatics. 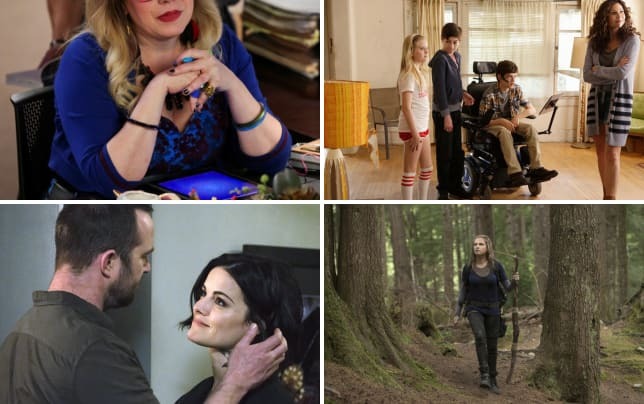 Do you agree with our final roundtable of the season? Sound off below! 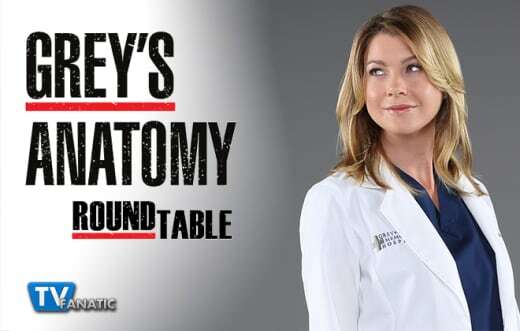 To hold you over until next season you can watch Grey's Anatomy online here via TV Fanatic! April quit her job to do God's work, and I promised I'd give my life to a God I didn't really believe in, and I don't know what that means. Thank you for being here. I know that weddings are probably not your favorite place to be with me.